I’m pretty sure I’ve mentioned that we love smoothies in our family. We all have one a day and smoothies are the sole reason why I buy 20 bunches of bananas every month! Now a standard smoothie is pretty healthy on its own; usually that’s diary and fruit. Still perfectly healthy and good for you. Why stop there? Why not make it extra healthy? Smoothies are a great way of adding in things that you wouldn’t normally consume on a daily basis or need to eat more of. From adding healthy fats, to sneaking in veggies, to adding spices that help your body there are lots of easy add-in that you should try! Coconut Oil – But of course, coconut oil makes the list. Add about a tablespoon of this and you get a nice dose of healthy fats which are high in lauric acid and has a ton of benefits. Coconut Flour – Yet another coconut product! Coconut flour is very high in fiber and protein. Great for those who are gluten-free! Chia Seeds – We like to turn our chia seeds into “chia gel” first but in either form you get a ton of protein, fiber, iron, antioxidants and omega 3’s! Steamed Greens – I do not suggest eating green smoothies on a daily basis. For most people that is too many greens and too many oxalates. However, the occasional green smoothie is a great way to get those veggies in. I do recommend steaming your greens and then allowing to them to cool or even freeze them before blending as the steaming helps reduce oxalates. Avocado – Talked about for their healthy fats, fiber, and potassium, avocados are being eaten by the dozens. Why not add them to your smoothie? 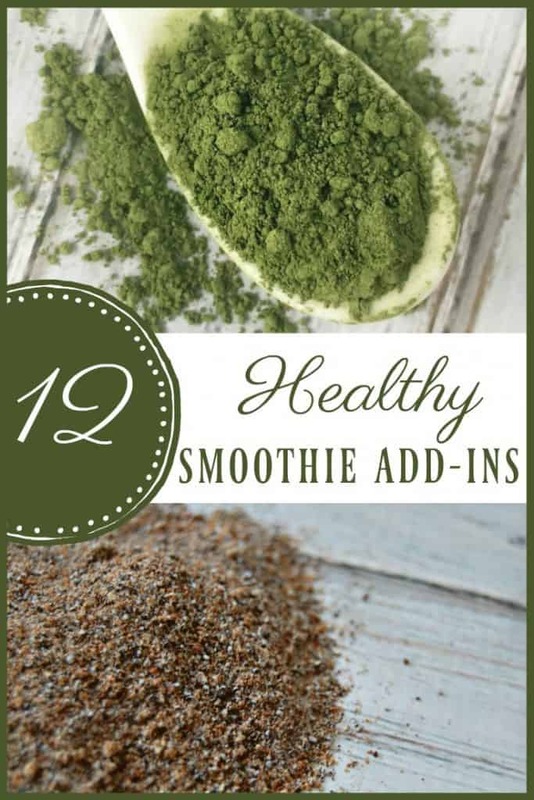 Not only are they a healthy add-in but they add a creaminess to smoothies! Cacao – Not to be confused with cocoa! I’ll admit, I’m still using cocoa powder in my smoothies but after really looking into things, I think I’ll make the switch. Cacao is high in antioxidants, rich in magnesium, iron, and other nutrients and it’s a mood booster! Green Tea – Either make your smoothie with green tea or add a bit of matcha to it. Green tea is a great source of antioxidants. 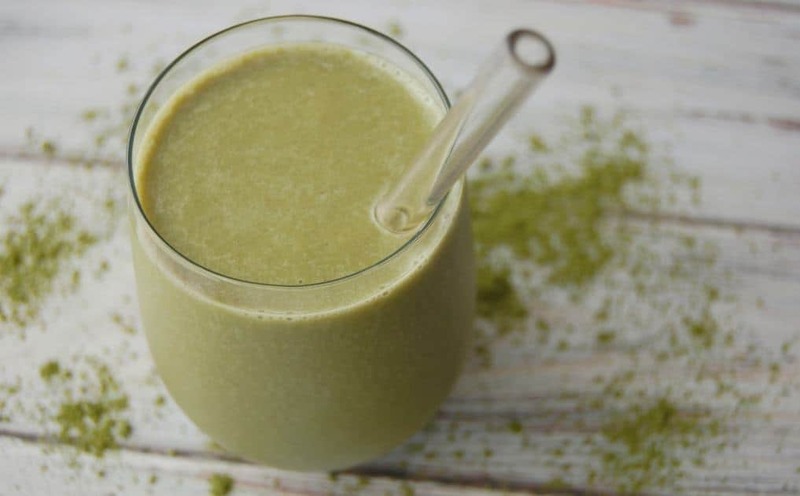 You can find green tea (in the form of matcha) in my energizing matcha smoothie. Gelatin – A new add-in for our family. Gelatin is a great source of protein and is wonderful for digestion, skin elasticity, teeth, bones, and hair! Nut Butters – Yet another way to add fats and protein to your smoothies! Just make sure your nut butter is the healthy variety without sugars or unhealthy oils. Got a nut allergy? Try sunbutter! Apple Cider Vinegar – I’m intrigued by this one and will have to try it out soon! Just add 1/2 – 1 tsp of ACV to your smoothie. It apparently kicks up the flavors as well as giving you the benefits of this amazing vinegar such as metabolism, lowering blood sugar, heartburn reliever, helps with seasonal allergies, and tons more! Elderberry Syrup – In the cold months, we like to take our homemade elderberry syrup to help prevent and treat colds and the flu. You can easily add elderberry syrup to your smoothie for an easy way to keep you healthy.